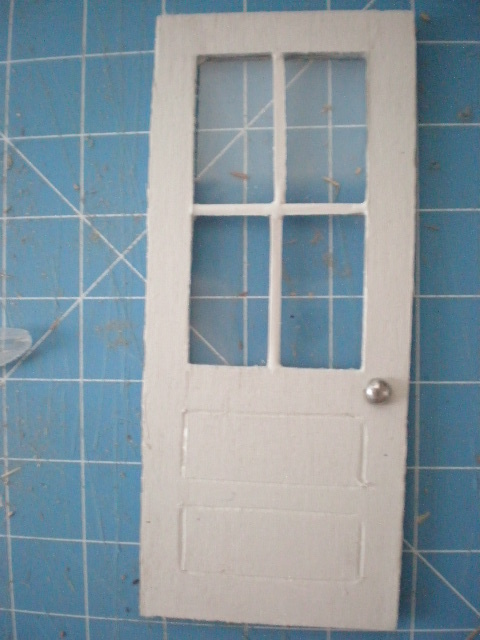 Today, I worked on the front door and the screen door. 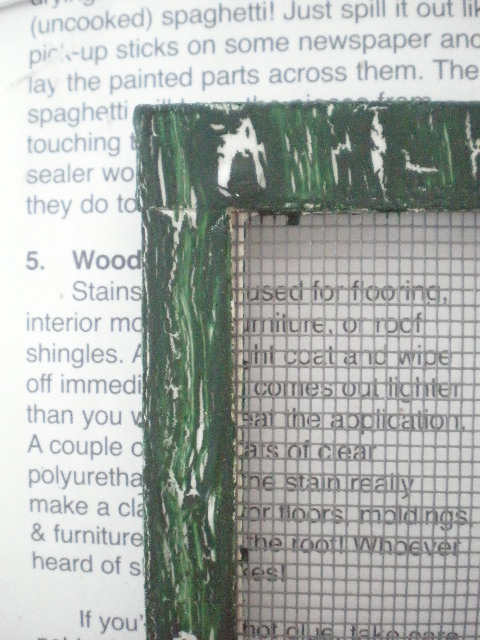 The screen is for real doors and windows is from the home improvement store. 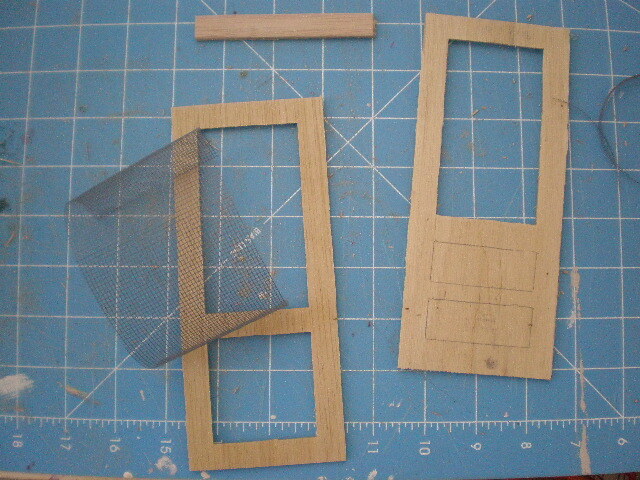 On this house, the front door is just one ply otherwise the screen door will not close.The front door has rectangles that I carved with the power saw. I glued the screen in and added a frame to hold it tight. 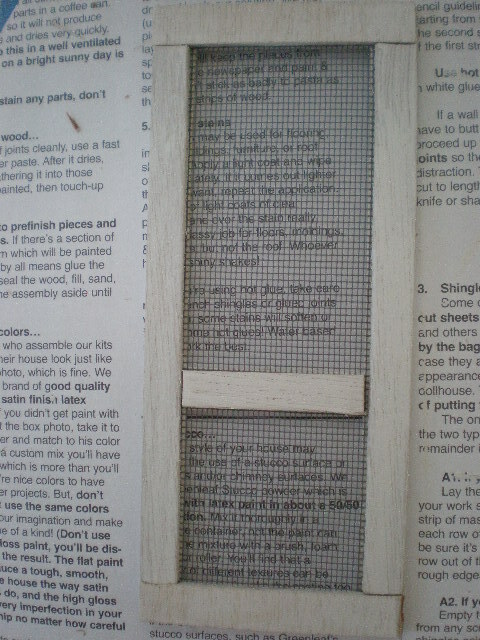 I made a crackle finish for the screen door. 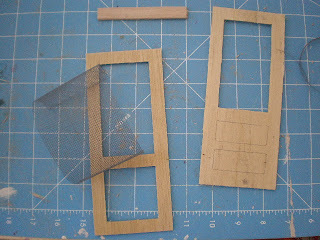 To get the crackle I used simple white glue. It works as well as anything else. I've tried it all including crackle medium and wood glue. The results are all the same. 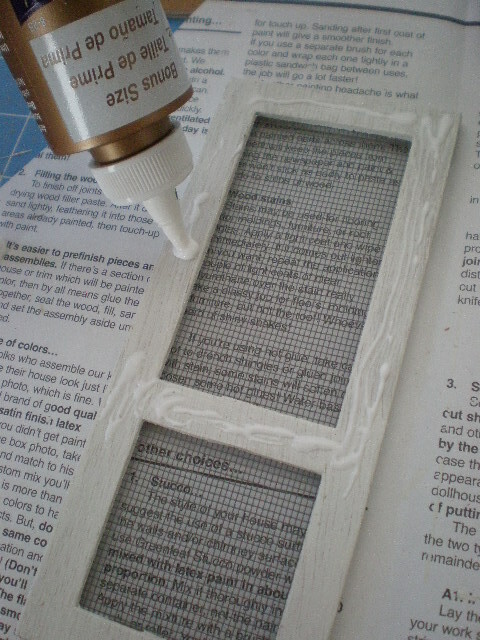 Just use a thick amount of glue and let it dry to tacky. Just a few minutes. 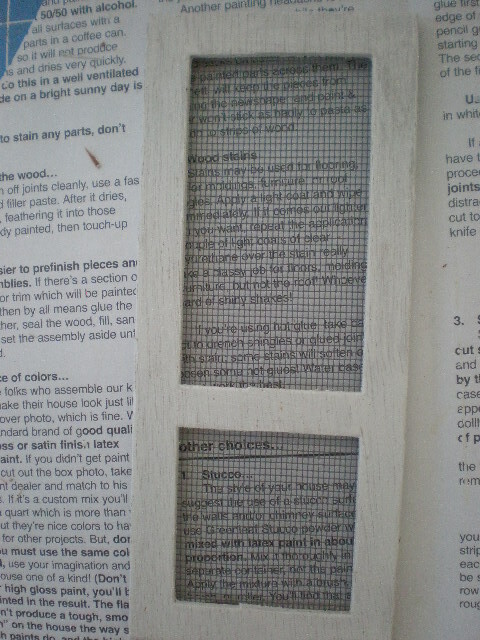 Then just make sure you only use one brush stroke and no overlapping. The front door will remain white. 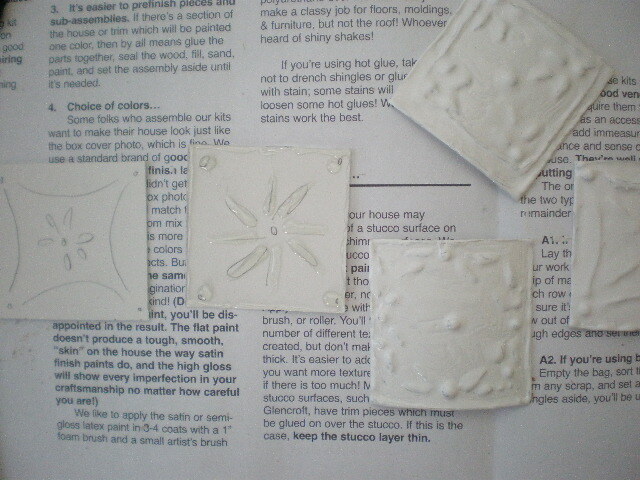 I also worked on the four tin tiles that go inside the fireplace mantle. 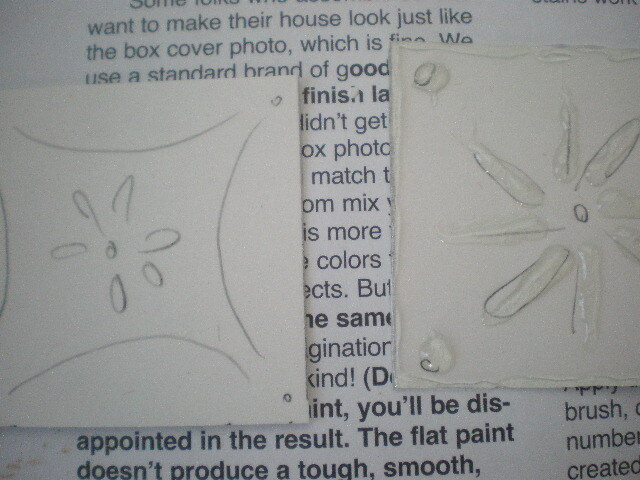 The first square is a cardboard piece onto which I draw a pattern. 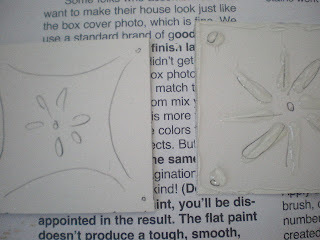 The second square has hot glue over the design. 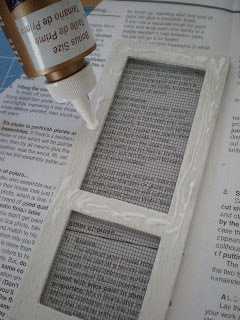 You can use any hot glue gun to accomplish this. 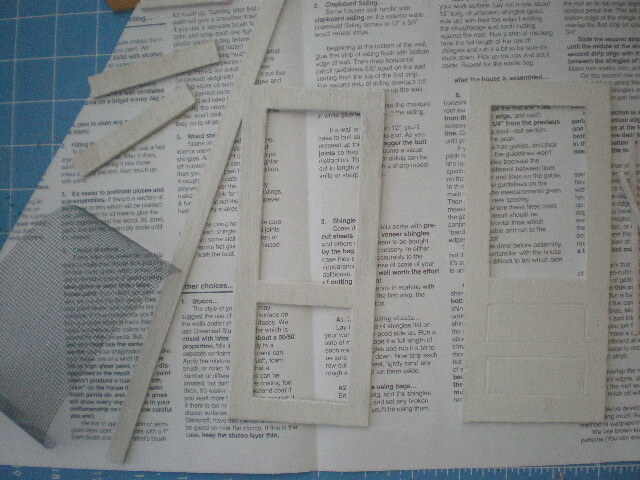 The small glue gun is easier to handle. 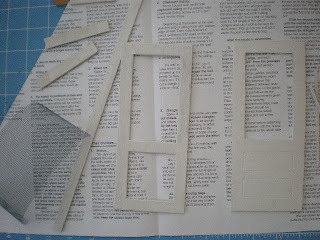 The big professional glue gun is cleaner to work with because you can cut those strings with just of couple twirls of the hot nozzle. 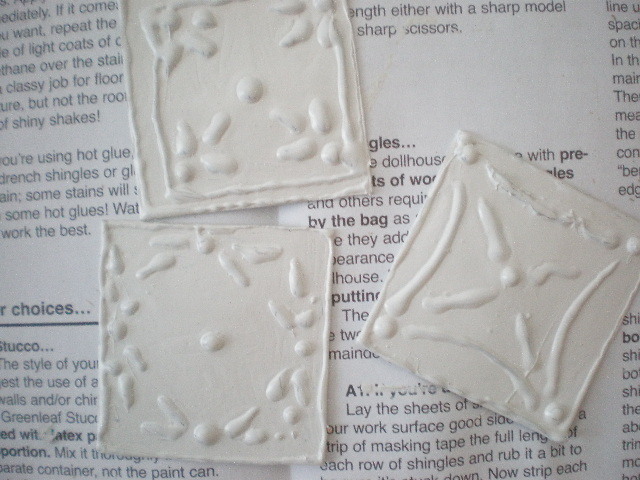 Sandy's studio tin tiles are all white so I painted these with a thick coat of white paint. Want to see the real studio? 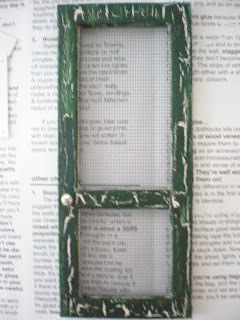 Sandy Foster's My Shabby Streamside Studio link. Hi Caroline! 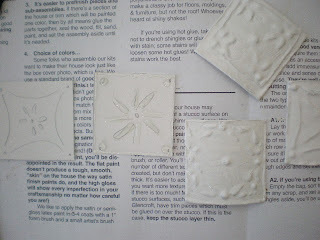 Thanks for sharing your crackle technique! 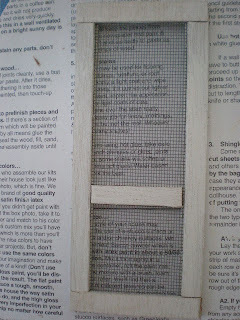 I have a project I want to use that on! 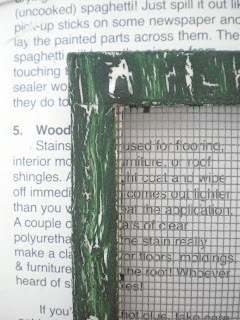 Your cottage is coming along nicely! 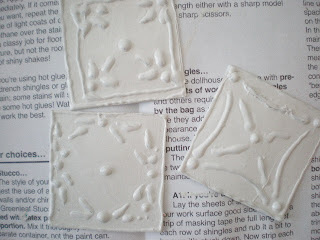 Hello Caroline, thats for sharing the glue tecniques, its both easy, quick and cheap. Looking forward to follow your project. Me encanta pasear por tu blog, aprendo muchisimo. Gracias por enseñarnos, las tecnicas.